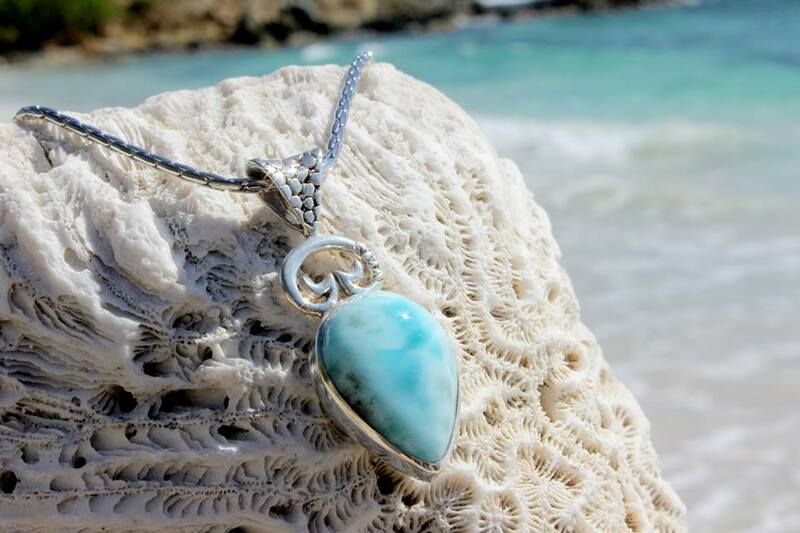 Larimar is a beautiful blue stone that reflects the colors of the sea and sky. It was discovered in the Dominican Republic in 1974 and has never been found anywhere else in the world. The stone is named for the daughter of one of the men who found the stone; Lari for Larissa and Mar for Sea to create the word Larimar. This gorgeous stone is also said to promote calmness and natural healing. 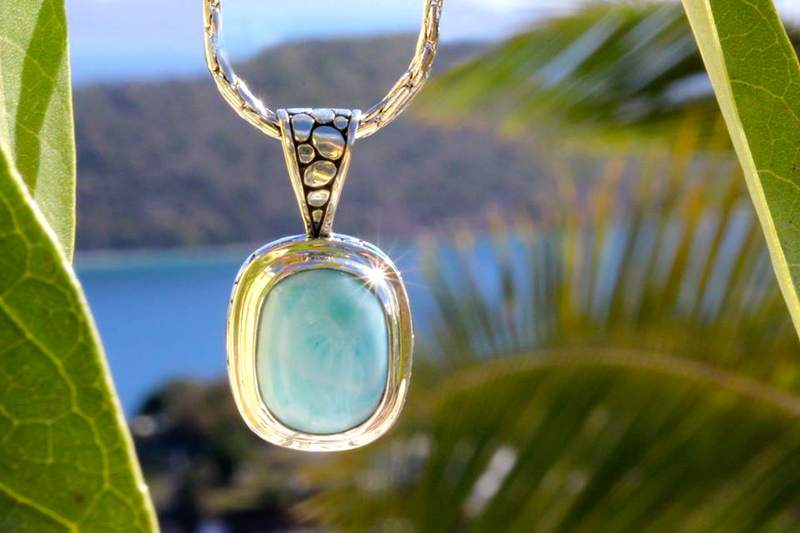 Geologists say that wearing larimar or surrounding yourself with the stone in its natural form can be a way to incorporate more calmness into your life! One interesting use of the stone is for pets who are anxious about going to the vet. Supposedly you can surround your pet with the natural stone for a few hours beforehand and it will help calm them to make the visit easier on them and their nerves.